Church tradition has long held that humanity arose from two people living in a garden of paradise in the Mesopotamian basin roughly six thousand years ago. Scientists now have abundant evidence that the human population never numbered less than ten thousand, originated out of Africa hundreds of thousands of years ago, and descended from ancestors that we share in common with several other species (some now extinct, some still living). Is it possible to make these two starkly different worldviews agree, or do we have to choose one and discard the other? This book will summarize the fossil and genetic discoveries that support the scientific view, and then address the impact that this has upon many Christian theological tenets. In the process, it presents many examples of the church adjusting long-held traditions and teachings in the face of scientific advances, as well as examples of how we often hold two seemingly contradictory ideas together without feeling a need to discard one of them. Many theologians have written on this topic without adequately incorporating the scientific aspects. Many others have addressed the science without exploring the impact on theology. This book accomplishes both. Luke J. Janssen is a Professor of Medicine at McMaster University at Hamilton, Ontario. He is the author of 140 scientific papers, as well as the book Reaching into Plato's Cave (2014), and blogs regularly on the subject of faith-and-science at https: //lukejjanssen.wordpress.com/. 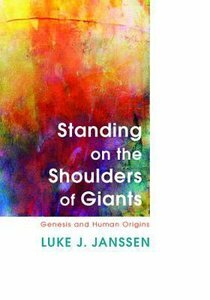 About "Standing on the Shoulders of Giants: Genesis and Human Origins"